The basics of trading commodities begins of course with deciding on what to trade. Once you make the decision, you place an order by contacting a broker. You instruct your broker on the type of order you're placing. The broker then time stamps the order and delivers it to the trading desk of the floor, or the trading pit. When your order is matched, it is confirmed to your broker and then you. Trading pits are each divided into sections designated for trading commodities in particular contract months. No trading is allowed outside a contract's assigned pit. This is the most common type of order. You simply state the number of contracts you want to buy or sell for a particular delivery month. You don't specify price, since your objective is to have your order executed as soon as possible. A limit order specifies a price limit at which the order must be executed. The advantage is that you know the worst price you'll get if the order is executed. The disadvantage is that you can't be certain that the order will be filled. An order that automatically expires if it is not executed on the day it is entered. Stop orders (also known as stop-loss or sell-stop orders) are not executed until the market reaches a certain price, at which point they become market orders. They are normally used to liquidate earlier positions. They can also be used to enter the market. For instance, suppose you expect a bull market, but only if the price passes through a specified level. In this case, you could enter a buy-stop order to be executed if the market reached that point. To ensure orderly markets, futures exchanges set both price and position limits. A position limit will restrict the number of contracts that may be held by a market participant. 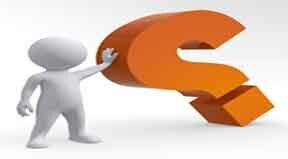 Price limits, also called daily trading limits, specify the maximum price range allowed for each contract. Margin is the amount of money deposited by both buyers and sellers of futures contracts to ensure the performance of the terms of the contract. In futures, the margin is not a payment of equity or a down payment as in securities, but rather a performance bond or security deposit. There are two kind of margins. The initial amount deposited into your account when you first place an order is called the initial margin. This amount is debited or credited daily on the close of the day's trading session. This is called "mark to the market." The second kind of margin is called a maintenance margin. It is usually a little less than the initial margin, and it is the minimum amount you must maintain in your account after a position has been opened. For example, let's say you enter the market by placing an order to buy. The initial margin required for your particular contract is $400. Once you hold the position, the maintenance margin may drop to $300. This means you need to show $300 in equity in your trading account for each contract you acquire. If the debits from a market loss reduce the funds in your account below this maintenance level, you will be required to restore the account to the initial margin level. This request for additional money is called the margin call. For example, you have $1,000 in your account. You purchase one corn contract requiring $550 initial margin, and your maintenance margin requirement is $500. You paid $2.50 per bushel. Therefore, you control a $12,500 contract ($2.50 times 5,000 bushels). If corn prices drop to $2.46, your account would be debited $200 ($2.46 times 5,000 bushels = $12,300). Your equity is now $800. If corn continues to drop to $2.40, your account will be debited $500 ($2.40 times 5,000 bushels = $12,000). Your equity is now $500, which is the minimum maintenance margin. If corn moves below $2.40, for instance to $2.38, you will receive a margin call for $100. This would bring your equity back to the minimum maintenance level of $500. The exchanges firmly enforce margin calls to protect the integrity of the market. In the same manner, margin in excess of the required amount is available for withdrawal daily. Chicago Board of Trade (CBOT) : corn, wheat, soybeans, soybean oil, soybean meal, oats, gold, notes, T-bonds, municipal bonds, 30-day Fed funds. Chicago Mercantile Exchange (CME): cattle, hogs, pork bellies, gold, silver coins, lumber, Eurodollars, certificates of deposits, currencies, Treasury bills, S&P 500 Index futures. Coffee, Sugar & Cocoa Exchange (NYCSCE): coffee, sugar, cocoa. Commodity Exchange, Inc. NY (COMEX): copper, silver, gold. Kansas City Board of Trade (KCBT): wheat, Value Line Stock Index futures. Mid America Commodity Exchange (MidAm): live cattle, hogs, oats, rough rice, soybeans, wheat, corn, gold, silver. Minneapolis Board of Trade (MPLS): wheat, sunflower seeds. New York Cotton Exchange (NYCTE): cotton, orange juice, propane gas. New York Futures Exchange (NYSE): New York Stock Exchange Index, option on futures. New York Mercantile Exchange (NYMEX): crude oil, unleaded gasoline, heating oil, natural gas, palladium, platinum, propane.